According to the ABC, the US Supreme Court has just revived parts of Trump’s travel ban on people from six Muslim-majority countries and refugees, whilst agreeing to decide its legality later this year. The six countries involved include: Iran, Libya, Somalia, Sudan, Syria, and Yemen. But exemptions for those with “bona fide relationships” with Americans or US entities apply, including spouses, other close family members, employers and universities. The US administration has said the travel ban is needed to allow time to implement stronger vetting measures, though it’s already rolled out new requirements not blocked by courts, including extra questions for visa applicants. This follows general tightening of US border checks, that saw an Australian lady on a tourist visa with a return flight, deported in May (for suspicion she planned to immigrate illegally to join her US boyfriend), and another lock-up of an Australian man in April, for overstaying his visa by one hour (after reported US Border Patrol delays). It was stated that the $78 million upgrade would also boost security at the nation's borders by making it easier to detect threats. However, until facial recognition and fingerprint technologies replace passports at Australian airports (if this new self-processing system goes ahead), the passport is still your prime means of entering and exiting the country. The Australia.gov.au states there are a few things to still keep in mind under their Passports and Travel section, with these recommendations and guidance links available through their site for any passport related resources you need. The role of police in family law matters is primarily to act on orders issued by a Court, and to prevent the unlawful removal of children from Australia. Lists the duty-free concessions available to travellers entering or returning to Australia. Information available in multiple languages. If you suspect you may have complications regarding your passport, it’s important to explore these resources before you commit to buy a flight overseas. Whether you plan a trip for a short or long duration, consult an expert in travel with an ATAS accredited travel agent for advice and help you plan for a smooth departure. Also, check out our handy holiday checklist for tips on packing and what to do pre-departure. An ATAS agent will help guide you on passport tips and visa requirements. They are the destination experts and can build the perfect holiday itinerary and provide advice on how to best avoid any unexpected delays. Travel is meant to be relaxing, so sail smoothly through any turbulent waters with an ATAS travel agent by your side, during these changing times. If you want to learn more about recent travel suggestions and hot travel topics, be sure to review other handy hints within the regular ATAS blog articles. For all you need regarding world travels – refer to your local ATAS travel agents to get you where you need to go. Want to set travel plans? Learn more about ATAS accredited travel agents, and why you need to book your next holiday with an expert in travel. 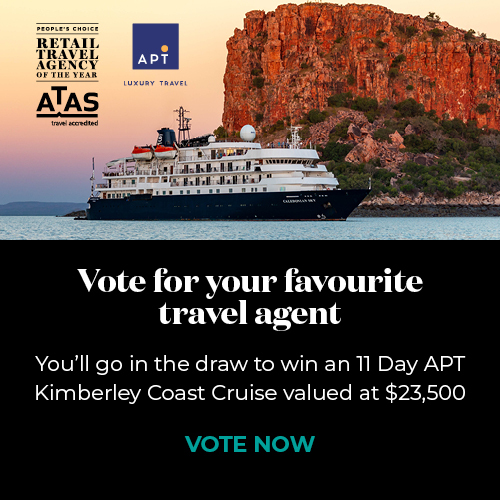 Search for a local ATAS accredited travel agent. Travel the world with ATAS travel agents as your personal guide to travel.